After a summer of getting some great use out of your garden lawn, it is time to start preparing your lawn for winter with some autumn lawn care. Autumn is the perfect time to treat your lawn as the soil temperature is still warm enough to stimulate grass growth. Here’s our top tips to keep your lawn looking great throughout the Autumn & Winter! Dead leaves release pathogens which causes the grass under the fallen leaves to rot. So make sure you rake up any dead leaves as soon as possible and pop them into a compost heap to help decomposure. Once your lawn is treated and in pristine condition it is important to get some lawn feed down to ensure that the roots are still growing strong throughout the winter. 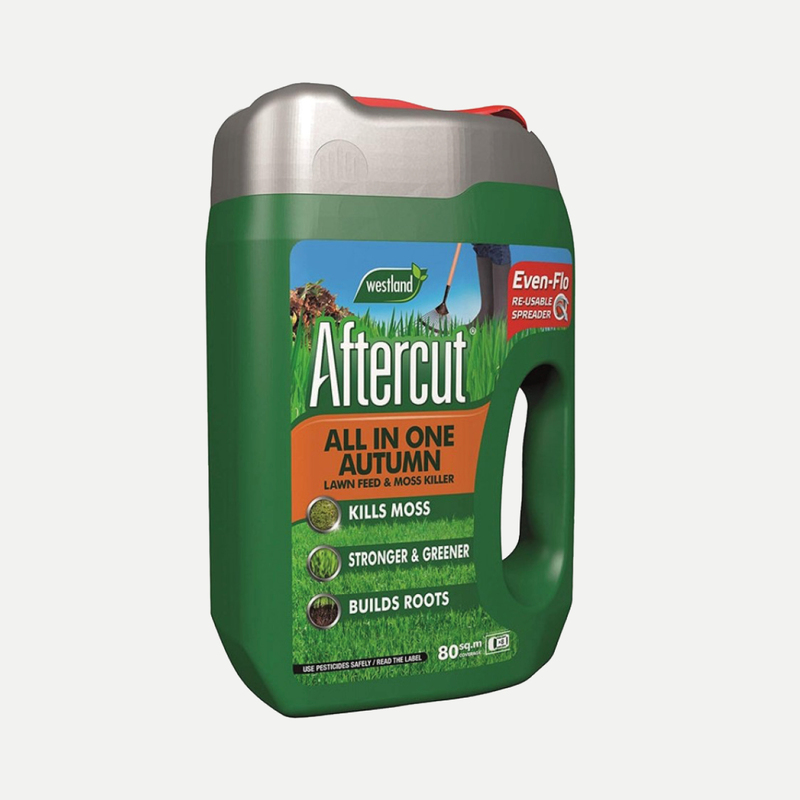 Autumn lawn fertiliser is high in potash and phosphates which will better protect the grass from frost and icy conditions. 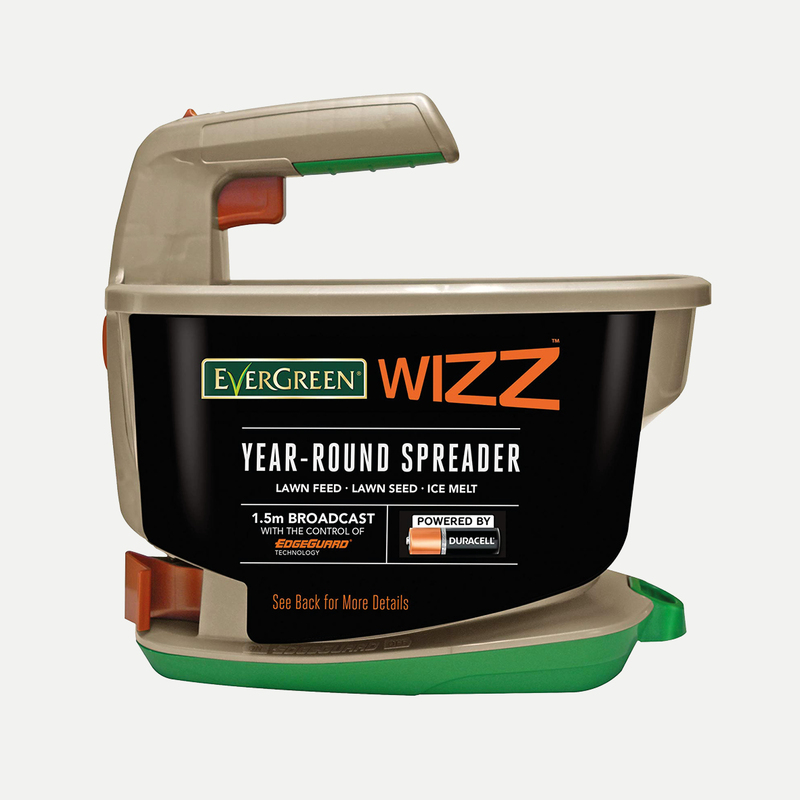 We recommend using a spreader when putting down lawn feed as this enables quick and accurate application of the seed. Even results are especially important when applying a lawn treatment that contains weed killers or moss control agents. If cutting the lawn make sure your mower is adjusted to a high cut setting as the grass grows slower in the autumn and winter months. If you keep it on a low setting you’ll be cutting the grass before it has a chance to grow. Now that the dew is returning try to mow in the afternoon. Damp grass can easily build up inside the mower so always give the mower a good brush, scrape or hose down after every use. If you’ve been making the most of your garden over the summer it means your lawn could now be compacted, this will lead to problems with drainage. We recommend using an Aerator or plunging a garden fork in to your grass at 10cm intervals. Scarify the lawn to remove thatch as layers of thatch deeper than 1cm can hinder water and fertiliser penetration. Lawns do not grow well in shade so if you have an area of your lawns that is struggling due to shade, now is the best time to prune back trees and bushes whilst they are in a dormant state. Walking on your lawn too much in the winter can damage the grass so think about laying down some stepping stones. Make sure you think carefully about where to place them for easy access to the shed, washing line and other garden essentials. 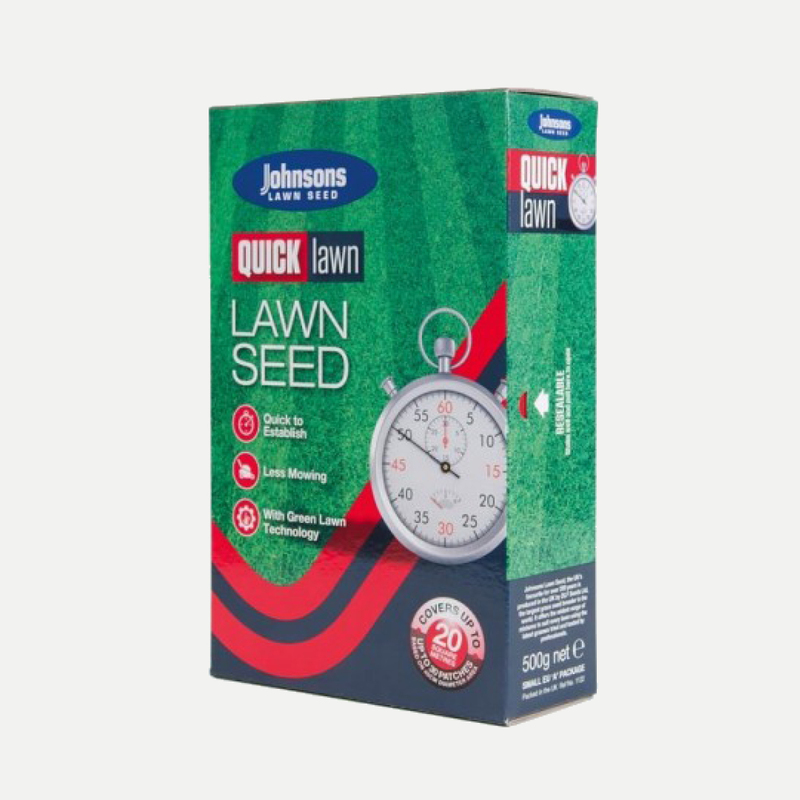 A great all-rounder, this Johnsons Quick Lawn uses a variety of high quality species for a green lawn. 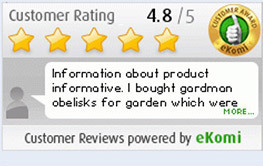 This seed has a Growmax dressing that improves establishment for a lush lawn in less time. 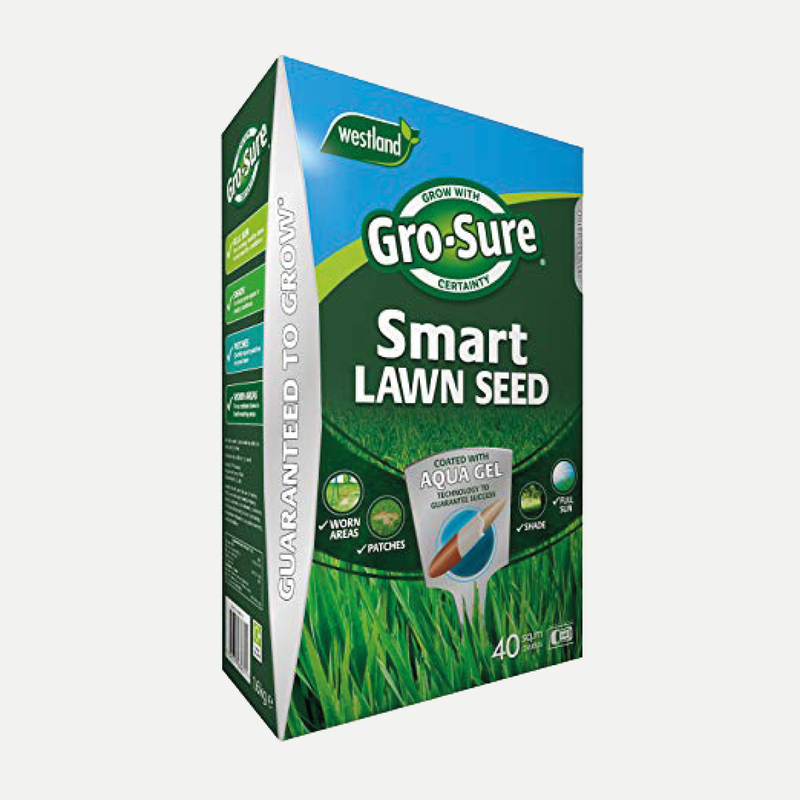 Westland's Gro-Sure Smart Patch Lawn Seed is great for repairing any patch in any lawn. The smart patch will revitalise by locking in water and nutrients, creating a lush, green lawn again. This feed contains a specialist blend of nutrients designed specifically to kill moss, build roots and promote a stronger and healthier lawn. This Battery-powered spreader is great for spreading grass seed and will give an even coverage. 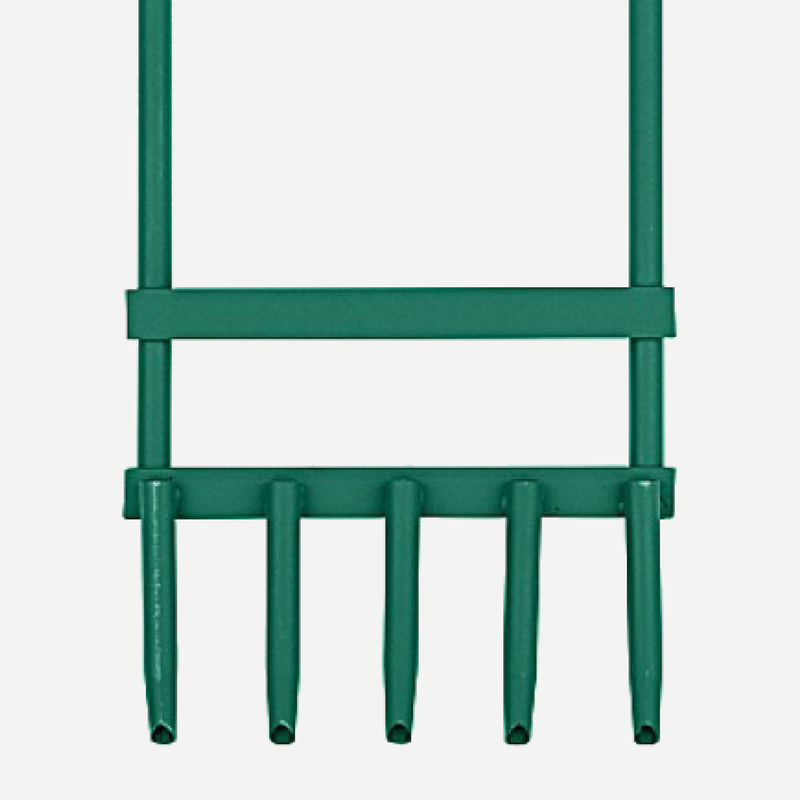 This handy Lawn Aerator is ideal for encouraging root development for healthier lawns. 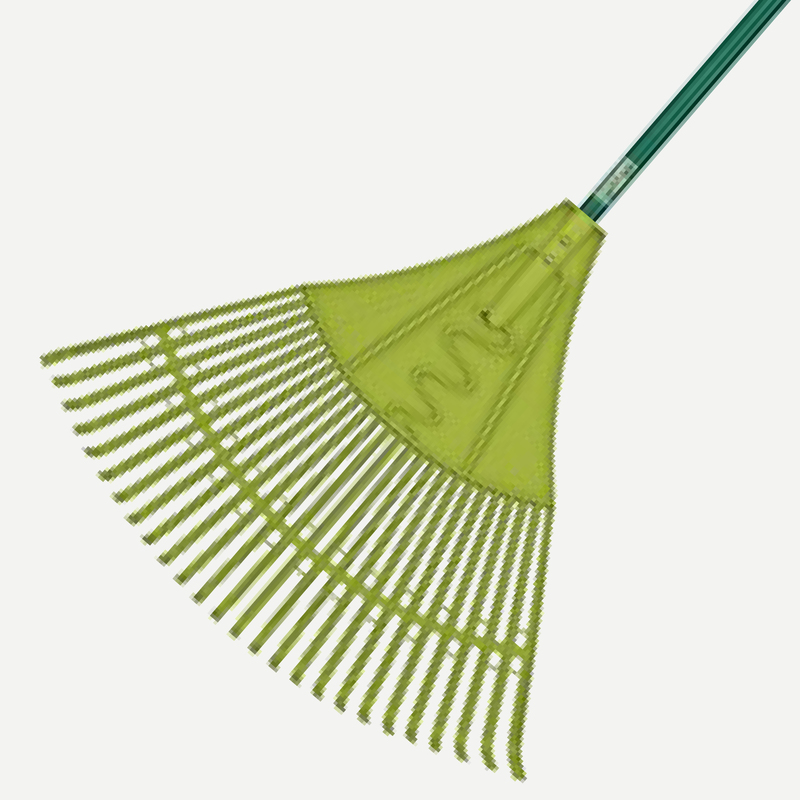 Make light work of pesky leaves on your grass with the Gardman Plastic Leaf Rake.